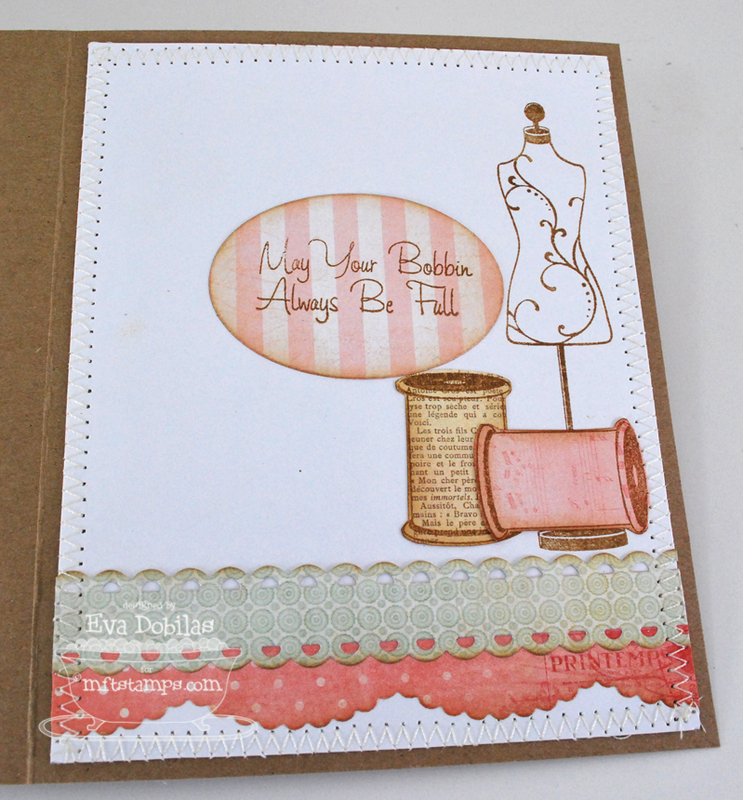 Hi there, back from CHA, had a FABULOUS time, the least to say, which I will have a separate post about for you, but today I am sharing the newest My Favorite Things Wednesday Stamp Club Challenge card. It's been a week since I crafted, at least to make a card, and I really, really love this week's sketch. I used thee Die-namics Sew Nifty and stamp set to create my card with and here is what I came up with. And here is the inside of it. Make sure you stop at Kim's blog for the sketch and the list of the MFT gals who are playing along this week. Then head on over to the MFT forum at SCS and upload your card using the keyword MFTWSC30. 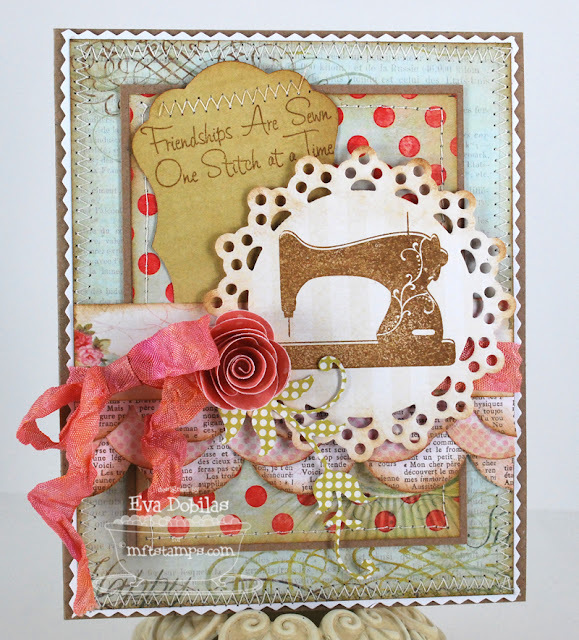 You could be the lucky winner of a $15 voucher to spend at the store and if you use MFT stamps, than you could win $20!